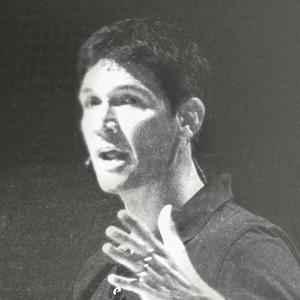 Matt Chandler serves as Lead Pastor of Teaching at The Village Church in Flower Mound, TX and the author of “The Explicit Gospel.” He describes his nine-year tenure at The Village as a re-planting effort where he was involved in changing the theological and philosophical culture of the congregation. The church has witnessed a tremendous response growing from 160 people to over 10,000 including satellite campuses in Dallas and Denton. Alongside his current role as lead pastor, Matt is the President of the Acts 29 Network and is involved in church planting efforts both locally and internationally through various strategic partnerships. Prior to accepting the pastorate at The Village, Matt had a vibrant itinerant ministry for over 10 years where he spoke to thousands of people in America and abroad about the glory of God and beauty of Jesus. His greatest joy outside of Jesus is being married to Lauren and being a dad to their three children, Audrey, Reid and Norah. Pastor Leonce is the lead planter and pastor of Renovation Church. In 2006 he felt called to plant a transcultural church and through prayerful seeking of direction settled on the under-served area of downtown Atlanta. 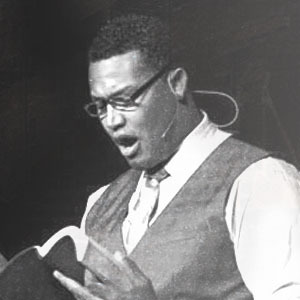 In early 2008 he and his wife Breanna moved to Atlanta from Tennessee to begin the process of planting Renovation Church, and in 2009 Leonce was assessed and approved as a member of the Acts 29 church planting network, which he now serves as a board member. Renovation Church launched publicly on January 16, 2011 and since has baptized over one hundred new Christians, grown significantly, and continues to be an example of a transcultural and missional community. Originally from Louisiana and raised Catholic, Leonce began following Jesus at age 16. He has been in ministry for 9 years, is a graduate of the University of Oklahoma and holds Masters degrees in Criminal Justice, with a focus on Case Law (University of Tennessee), Missional Leadership (Resurgence Theological Training Center), and is finishing his Masters of Divinity at Reformed Theological Seminary this year. Leonce and his wife Breanna have lived in the Grant Park community of Atlanta for over 4 years, and have two daughters. 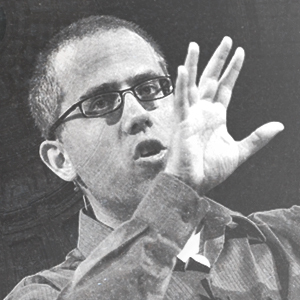 Kevin DeYoung is the Senior Pastor at University Reformed Church in East Lansing, Michigan, located near Michigan State University. He serves as a council member at The Gospel Coalition and blogs on TGC’s DeYoung, Restless and Reformed. He is the co-author of Why We’re Not Emergent: By Two Guys Who Should Be, Why We Love the Church: In Praise of Institutions and Organized Religion, and What is the Mission of the Church? Making sense of social justice, Shalom and the Great Commission and the author of Just Do Something: A Liberating Approach to Finding God’s Will, The Good News We Almost Forgot: Rediscovering the Gospel in a 16th Century Catechism, and The Hole in Our Holiness: Filling the Gap between Gospel Passion and the Pursuit of Godliness. Kevin and his wife, Trisha, have five children: Ian, Jacob, Elizabeth, Paul, and Mary. 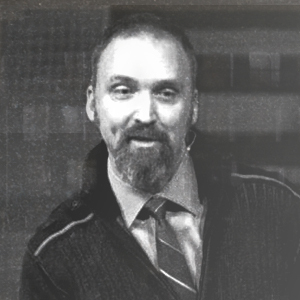 Noel Jesse Heikkinen is one of the pastors at Riverview Church, a rapidly-growing multi-site church of over 3,000 people in the Lansing, Michigan area. In addition to his work at Riv, Noel serves as Chairman for Great Commission Ministries, an organization that mobilizes missionaries to work with local, missional churches globally and he coordinates the church planting efforts of Acts 29 for the state of Michigan. When not working, he can be found hanging out with his wife Grace, his daughter Emma, or on a baseball diamond somewhere with his three sons Jesse, Ethan, and Cole. Dr. R. Albert Mohler Jr., serves as president of The Southern Baptist Theological Seminary – the flagship school of the Southern Baptist Convention and one of the largest seminaries in the world. (Multnomah); Atheism Remix: A Christian Confronts the New Atheists (Crossway); He Is Not Silent: Preaching in a Postmodern World (Moody); The Disappearance of God: Dangerous Beliefs in the New Spiritual Openness (Multnomah); and Words From the Fire: Hearing the Voice of God in the Ten Commandments (Moody). From 1985 to 1993, he served as associate editor of Preaching, a journal for evangelical preachers, and is currently editor-in-chief of The Southern Baptist Journal of Theology. 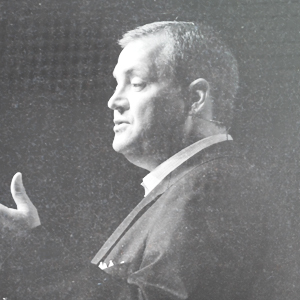 Dr. Mohler has presented lectures or addresses at institutions including Columbia University, the University of Virginia, Wheaton College, Samford University, Trinity Evangelical Divinity School, the University of Richmond, Mercer University, Cedarville University, Beeson Divinity School, Reformed Theological Seminary, The Master’s Seminary, Geneva College, Biola University, Covenant Theological Seminary, The Cumberland School of Law, The Regent University School of Law, Grove City College, Vanderbilt University and the historic Chautauqua Institution, among many others. 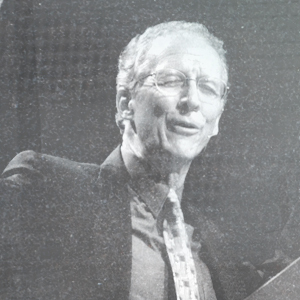 John Piper grew up in Greenville, South Carolina, and studied at Wheaton College, Fuller Theological Seminary (B.D. ), and the University of Munich (D.theol.). For six years he taught Biblical Studies at Bethel College in St. Paul, Minnesota, and in 1980 accepted the call to serve as pastor at Bethlehem. John is the author of more than 40 books and more than 30 years of his preaching and teaching is available free at desiringGod.org. John and his wife, Noel, have four sons, one daughter, and twelve grandchildren. Having received most of his higher education from institutions near the Boston area, Dr. Um has acquired a unique awareness for the various intellectual and cultural issues confronting Bostonians. He is a graduate of Phillips Academy at Andover, and Boston University where he read Sociology and Philosophy. After receiving a call to ministry, he entered seminary at Gordon-Conwell Theological Seminary where he received an M.Div. and a post-graduate degree (Th.M.) in Biblical Theology. He received his Ph.D. in New Testament studies at St. Mary’s College (University of St. Andrews) in Scotland. 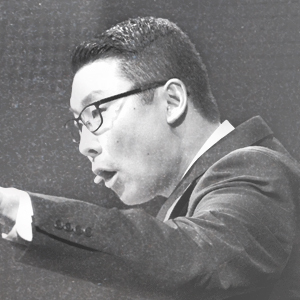 Furthermore, since the beginning of 2002, Dr. Um has been teaching New Testament studies at Gordon-Conwell Theological Seminary. Providence, RI. From there, they moved to New York City for five years where they sensed God’s call to plant a young professional ministry. Dr. Um is now the Senior Minister of Citylife Church in Boston, an ethnically diverse group of professional and creative urbanites. He is the author of The Theme of Temple Christology in John’s Gospel (T&T Clark), The Kingdom of God (TGC Booklet, Crossway), and Why Cities Matter (Crossway, 2013). Dr. Um serves as a member of the Board of Directors for The Gospel Coalition, as an Associate Director of Training for Redeemer City to City, and as the President of the Center for Gospel Culture. Dr. Um and his wife reside in Boston with their three children.